Colleith Lodge is a stunningly designed, purpose built, one level boutique accommodation on the East Coast of the Coromandel Peninsula. Built of golden New Zealand stone and native timber it sits in tune with the natural environment. From its hilltop location the jaw-dropping views encompass Tairua Estuary, Pauanui, Slipper Island and the Pacific Ocean from every room. Colleith Lodge offers 3 guest bedrooms, a spa and swimming pool for guest enjoyment. Each evening the finest New Zealand wines are offered with canapes created from local produce. 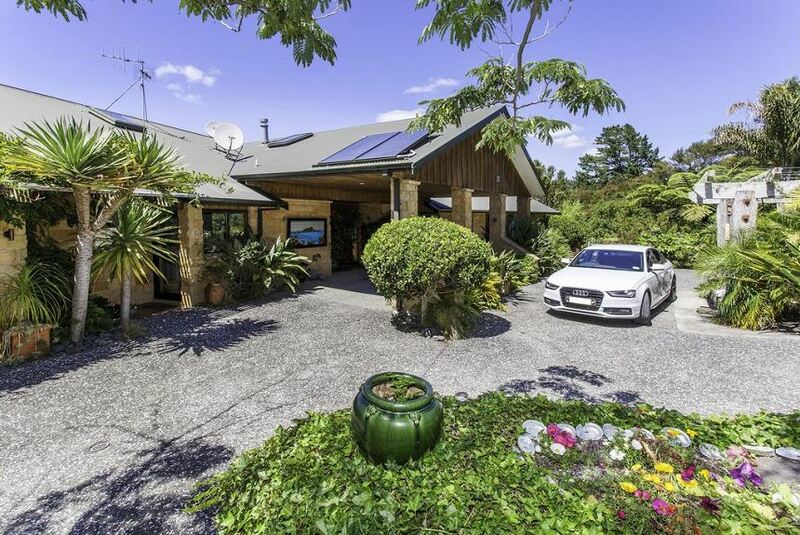 Golf courses, bush walks, Hot Water Beach and Cathedral Cove are close by.